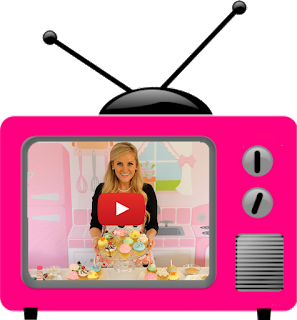 In this Baking 101 Video, we start with the basics, as I show you some quick, easy tips & tricks for how to tell if your butter is at the proper temperature, for recipes that call for room temperature butter. The two main types of fat that are used in baking are either solid fats (butter, margarine, vegetable shortening and lard) and liquid fats (oils like vegetable oil, canola oil or olive oil). Butter adds the most flavor and richness to your baked goods. Butter is the most common fat used in baking as it lends a wonderful flavor and texture to cakes, cookies, pie crusts and fillings, frostings, brownies and more. Standard American butter is made from churning the fat in cow's milk. American butter is an emulsion of water in about 80% fat, while European butter has about 82% fat content. Butter adds a delicious flavor, leavening and texture to baked goods and is very important in keeping your baked goods tender and rich, which is why it is important to use a good quality butter in your baked good for optimal taste. Always use unsalted butter and add your own amount of salt to the recipe separately, if the recipe does not state whether salted or unsalted is needed. Butter can be melted and browned (how to make brown butter) over the stove top when a recipe calls for melted butter (like in my chocolate chip cookie recipe). This will add a caramel/toffee/butterscotch flavor to your recipe that really takes it to the next level. Most recipes require "Room temperature" butter when not otherwise stated (like using ice cold butter in pie crusts, or softened butter to coat flour in pastries), which should be at around 63-67 degrees (spreadable) when adding to your recipe. Butter begins to melt at 68 degrees F and at that point can no longer be used for certain mixing methods when incorporating into your recipe. Room temperature butter will also allow for the maximum amount of air to be beaten into it. This is why the "creaming method", beating room temperature butter with sugar until light and fluffy, is such a common first step when making cakes. This creates air bubbles that get enlarged by the baking powder/soda when heated in the oven. Room temperature butter should be cool to the touch and make a slight indent when pressed with your finger. Microwaving is not a method I recommend. Microwaving tends to melt butter very easily, even if it still looks solid, and can compromise the structure of your baked good. Once the butter has begun to melt the emulsion breaks down and cannot be built up again, even after hardening in the refrigerator or freezer. It is always best to substitute a solid fat for a solid fat (butter, margarine, shortening, lard) and a liquid fat for a liquid fat (canola oil, vegetable oil, etc.). Solid fats that have been melted do not become a "liquid fat". Butter for instance, contains milk solids (oil does not) that will firm and set after your baked good has cooled. Unsalted butter is usually called for when not specifically stated but salted butter can be used in its place by reducing the amount of salt in the recipe by 1 teaspoon per pound of butter. I do not recommend substituting oil for butter or using low-fat spreads, margarine or light butter for baking. 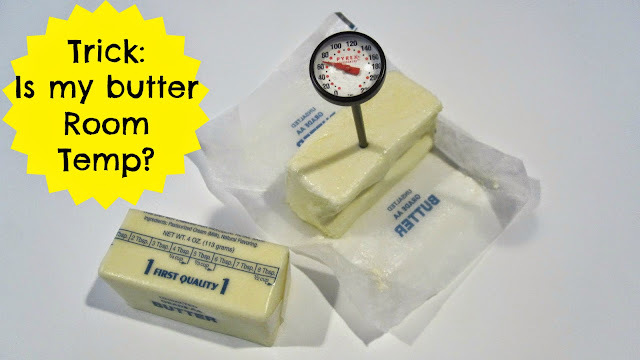 The best way to bring your butter to room temperature is to leave it out for about an hour before you begin making your recipe until it reaches about 63-67 degrees F. Any warmer and it can begin to melt, which is why microwaving is not a method I recommend. Microwaving tends to melt butter very easily, even if it still looks solid, and can compromise the structure of your baked good. Once the butter has begun to melt the emulsion breaks down and cannot be built up again, even after hardening in the refrigerator or freezer. 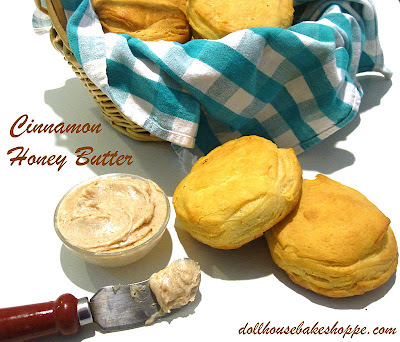 If you do not have the time to let your butter sit out, be sure to click here to check out some of my quick alternatives. 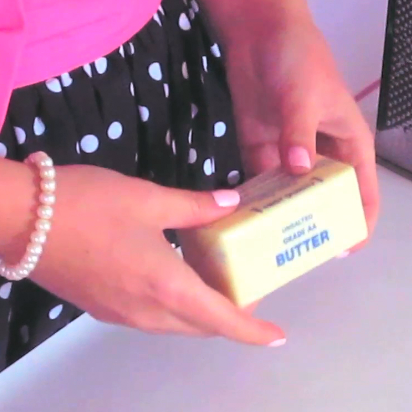 Room temperature butter should be able to bend easily and be flexible. If it breaks when you try and bend it, it needs to sit out a little longer until it is more pliable. Room temperature butter should be cool to the touch and make a slight indent when pressed with your finger.